not brain stimulating, but a good time waster. 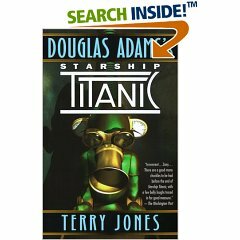 Have you ever noticed that the Mystery and Science Fiction sections are always together, way at the end of the fiction books? That makes sense to me because Sci-Fi books usually have some type of mystery in them. Not necessarily a whodunit sort of story, but a what’s-really-going-on-here type of thing. 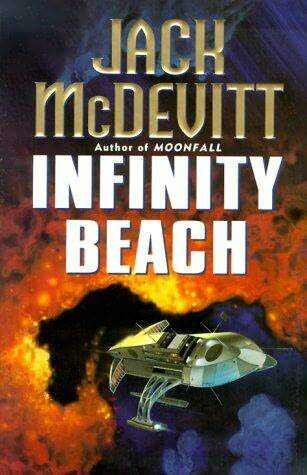 All the Jack McDevitt books I have read feature this element, Infinity Beach more so than most. Kim Brandywine sets out to discover what really happened thirty years ago when her clone sister disapeared amid interesting circumstances. The book is very good until the end, where is really slows down. This is a common complaint I have with a lot of books and movies, where they will be very interesting and exciting almost right until the climax or big reveal or whatever, and then go pfft. Sometimes this comes from writers not really having a good explanation for all the weirdness that has been going on (the TV show Lost, for example), but often it seems as it they just get tired of telling the story and give up. It’s disappointing. When a science fiction book wins the Hugo and Nebula awards, you know going in it’s gonna be good. 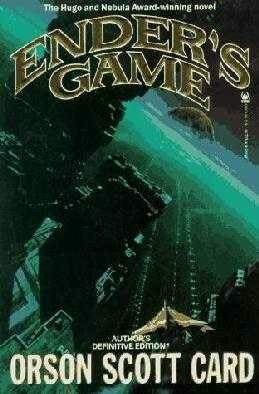 Ender’s Game has all the hallmarks of good sci-fi: a future setting, space battles, neat-o technology, relativistic and gravity considerations. It also has a well written and engaging story about brilliant children training as soldiers by playing war games. Imagine Lord of the Flies without all the boring bits. Book One of the Dresden Files! That was my favorite TV show of last season, so of course it got canceled. Then someone told me it was based on a series of books, so I had to check it out. Not surprisingly, I liked the book version too. Harry Dresden is a professional wizard, using his magic to solve real world problems, in a private eye sort of way. He also, on occasion, consults for the police when they encounter the unexplainable. 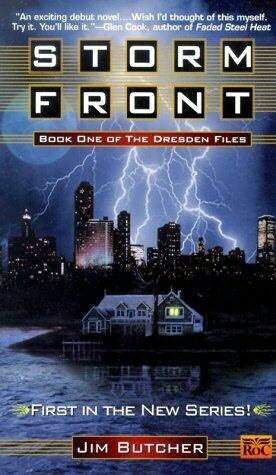 Storm Front is a fun read because it explores Harry’s attempts to straddle two worlds, the mundane and the magical, without getting into too much trouble in either, and it mixes in a compelling whodunit in the meantime. I look forward to reading more. 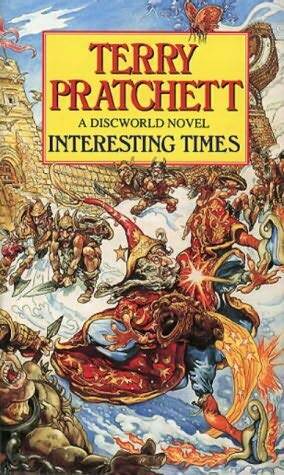 So my Discworld kick of the last couple months (it’s over now) all started because I got this book from the library. It is the fifth Rincewind story, and made some references to his previous exploits, so I thought I ought to freshen up on his earlier adventures. It turns out that was not necessary. Except for the familiar characters, Interesting Times is its own book entirely. Rincewind gets sent to the counterweight continent, the Discword’s version of Asia, where he gets caught up in a variety of ridiculous and hilarious predicaments. This is the best of the Rincewind books so far. From the cover art it appears that this is a parody of Faust. 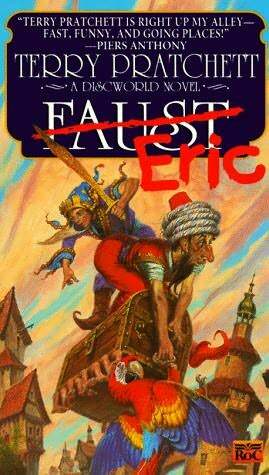 I do not know Faust, but I sure enjoyed Eric. It is about a fourteen year old boy who tries to conjure a demon, but gets Rincewind instead. They travel around and have ridiculous adventures, with a pissed off Luggage following them every step of the way. This is the ninth Discworld book, and it exhibits all the irreverent humor and ridiculous disregard for narrative cohesion that I love about the series. This is an improvement over the previous Rincewind novels.